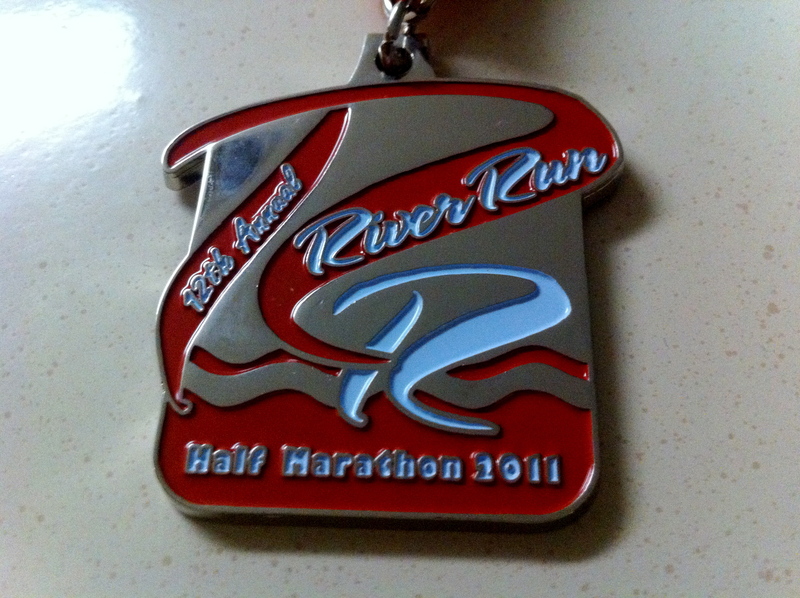 This past Sunday was the 12th annual River Run Half Marathon through the Cleveland Metro Parks. 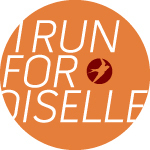 I picked this race months ago because of my love of running through the parks. Of course my version of the parks were the trails and smaller distances. The whole experience was a good one, I had small difficulties to overcome, but in the end, it was a great way to honor those who were lost on 9/11 ten years ago. Packet pick up was my first small panic of the race. I was confused about my “bus ticket” and realized it was only a smiley face on my race bib, thanks to those on Twitter. I also noticed that my shirt I received was a few sizes too big. Not too worried, since this happens most of the time, but once in a while I hope that a shirt will actually fit. I also picked up my inserts for my arches from my parent’s house so I’d have some support. 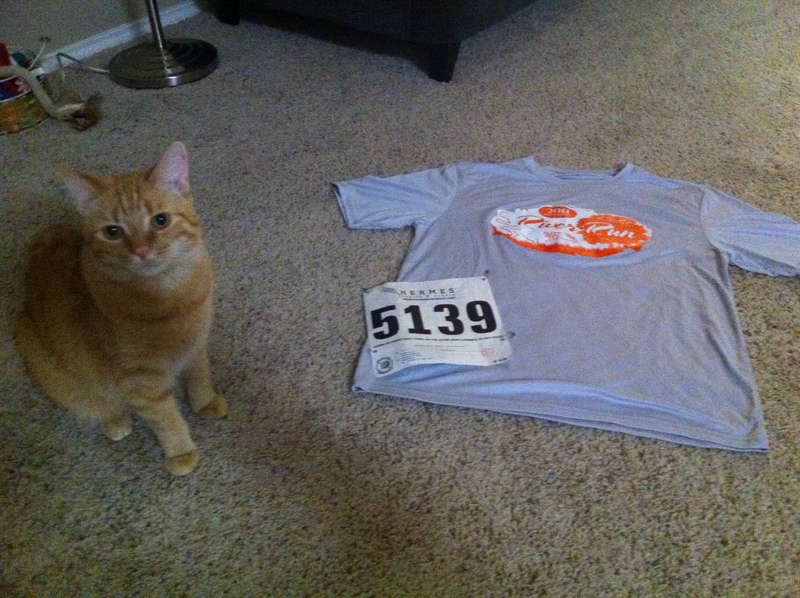 The same inserts I haven’t worn in over a year and was going to try out during the race. For the first time that I can remember, I wasn’t nervous about the race. I was more nervous the night before, when I started thinking about the distance and the much shorter distances I had been training. Confession, the farthest I’ve run since the Cleveland half was 4 miles…once in July, and once in August. My plan was to get to 10 miles by August but then my knee gave out. So I was pretty much going in blind, telling myself I was going to run 13.1 after doing horrible training. I started out with a good pace. First mile was 9:57. Honestly I wasn’t asking for a PR in this race. I missed the second mile marker, but read that there was a water stop at mile two. When I looked down at the first water stop and saw that it had already been 25 minutes, I was completely confused on how I added an extra 5 minutes that early in the race. Luckily I was wrong, and I was at 29 minutes by the third mile. This was also about the same time that my one working headphone blew out so I could barely hear my music. I took this as an opportunity to really focus on my running. I was expecting to get several cramps within the next few miles so I took the advice everyone as given me and focused on my breathing. My legs were feeling good (no knee issues yet!) and I wanted to see how far I could get without hitting the wall. Around mile seven I was definitely in need of some sports drink. The running gods were looking out for me and I was happily chugging down water and Gatorade at mile eight. I was feeling great until about 100 feet from mile 9. Goodbye anything in my stomach. This added a minute to my time, but I was determined to keep going. I did 9 miles in just under an hour and a half. Right on time for a 2:10 finish (5 minutes faster than Cleveland) This got me thinking of somehow getting a PR, so I decided I’d try to quicken my pace. Again, this wasn’t a good idea, and I was off to the side, added more wasted minutes to my time. Mile 11 I officially gave up getting a PR, my legs hit the wall and I was ready to finish. Those next two miles were rough, and it was the first time I walked all race. I walked during water breaks because I can’t run and drink at the same time, but to me those didn’t count as actually “walking” during the race. The highlight of the race was the finish. I was about 25 feet from the finish and of course, got sick again. The biggest puker award goes to me! This isn’t the first time I’ve lost it at the end of the race, but definitely the first time I did it during a race. I finished with a time of 2:21:32. I was a bit emotional when I crossed the line, but I held it in. I was a little upset with how I did, but for lacking on training, I’m still pretty proud of myself. 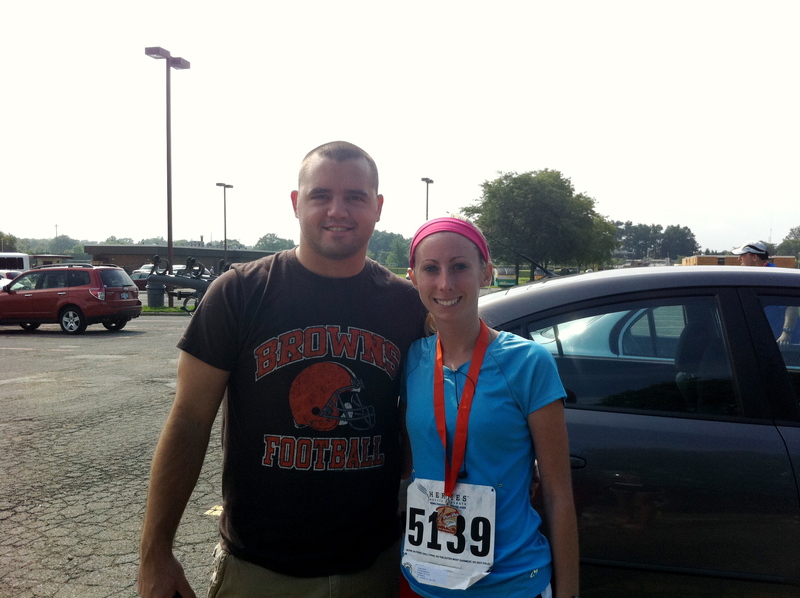 I was also really excited to get to the finish line because Darren was finally going to see me run. Yes, it was long over due, but apparently running isn’t as fun to watch as football, I beg to differ. Overall it was a great race. I was able to really focus on my running because I wasn’t nervous or trying to get a PR, at least most of the time. My legs and knee held up most of the race, but without training, I was expecting my body to give in a lot sooner. Each race I know I’ll learn something new to help me compete the best to my ability. But for now, I guess I’m addicted since I came back for more. Way to go. Races are so uncertain. You never know what the conditions will be or how your training will end up. Glad you pushed through. #2 in the books for you!